Twin Flames – the divine feminine and the divine masculine aspects of a monad together contain the consciousness of source, the god created spark of spirit. Each experiencing on its own, taking individual paths of spiritual growth, though always connected in consciousness. Sometimes twin flames incarnate together on the physical plane at the same time, sometimes not. The two come together to connect before the monad re-joins in the Oneness field of all creation, which is the very purpose of this article. It is said that in times of great change, such as the present transition from the Piscean Age to the Aquarian age, many twin souls will come together again for the purpose of spiritual advancement and ascension. This is a huge evolutionary step forward, for both their OWN soul growth and consciousness, and for the purposes of assisting OTHERS in preparing to move into higher vibrational levels of existence. When twin flames unite they are the spark of the original totality of Oneness. I have been sent here on my earthly mission as a star seed from Arcturian and Sirian linages bringing forth gifts and wisdom from each. One of my soul’s strengths is sacred geometry, which I use in healing sessions, as well as connecting my clients to a higher vibration frequency through the fleet of light beings in which I channel. My quest is expansion and TRUTH at its highest level. My purpose is unity consciousness. My message is clear, light is stronger than the dark, even though both are a necessary part of creation. The Divine Masculine aspect of spirit has become unbalanced and we have seen control and power be the driving forces of our history. The return of the divine feminine says control and power will no longer govern us, we will return to love harmony and balance. To our essence, to the sovereignty of our unique soul. I am a dakini, a protector of the sacred twin flame. Twin flames, when united in union, can access the 13th dimension of consciousness; in our current state of reality we can only access 12d consciousness. The reason as to why 13d consciousness is so vital is that it plays a huge role in the evolutionary shift into 5d consciousness. Although we have access to the 12th dimension the collective consciousness vibrates at the level of 3d reality. The level of self-awareness determines the level of dimension or frequency one can “tune” into. This is why self-mastery is imperative to the shift in consciousness and also the ascension of your soul. Many people on the path can access higher states of consciousness (dimensions). This determines the level of “awakefulness” one is. A lot of twin flames struggle with the density of the earthly experience. Many are from star systems of a much higher frequency and their energy fields are very sensitive to the energy of others and the collective. All twin flames have some role to play in the dissolving of the old paradigm and the birth of the new. This is the beautiful, yet challenging a lchemical process of transmutation that is taking place on our earth. I have worked with so many twin flames (they are drawn to me like bees are to honey) and it is very evident that their energy fields are often deliberately sabotaged. Here is why… Twin Flames hold within their consciousness sacred knowledge and wisdom that predates Ancients Egypt, Atlantis, Summerian and other important timelines. What is so special about this? These timelines hold the secret to our illumination and ascension. It’s no wonder half of our history and wisdom have been kept from us or changed to suit the agenda of a controlling and manipulating force. It is because of this that twin flames are prone to and subject to psychic attack and vulnerability. Because I work within these realms (of protector and dakini translated as “sky dancer – she who moves in space”) and have done so in many of my previous incarnations, my role, or speciality, is in the underworld, navigating the darker realms. This was very hard for me to embrace and embody. I used to question why I so often worked with dark energy, what was it, in me, that called this into my existence. My enquiry was within. Sure, like us all I have my shadow and dark side, but surely it wasn’t that dark, like a great abyss. Then came the judgement form others. On-lookers working within the light and only the light making the assumption that the darkness was of my own reflection, which absolutely, can be a possibility. It was spirits gentle and loving voice who told me that I am a dakini, that I am playing the role I was destined to play out. I Am a protector of the divine cosmic order. The sabotage that exists within the twin flame relationship is a deliberate attempt to stop the union of these beautiful beings coming together. Twin flames while still whole and complete on their own, lack the totality of source (not one another but SOURCE – remember we are primarily here for spiritual purposes). It is only when twin flames unite in the physical that they embody the 13th dimensional frequency – irrespective of their spiritual advancement. This is the vibration they hold and emit. Together they birth something new. Twin flames not in communion only have access to the 12d frequency and this is very much dependent on their own spiritual advancement. Now you see why there is the coming together of so many twin flames as we approach another golden era – and the deliberate sabotage in keeping these high frequency beings apart! My life’s focal point is my own family but of equal importance is the sacred work of spirit, playing out my role so we can ALL realise our divinity. I walk the inward journey to essence, seeking mystical union with the divine. By attuning to and embracing the divine feminine energy, we take our consciousness to a higher octave of energy, this helps to break down the old structures that no longer serve our evolution on earth, enabling us to return to another enlightened era with unity consciousness and LOVE. I do not fight for any other cause or reason. I am true in my path and I am aware of the consciousness in which I am linked to and to whom I work for. Something so many healers and light workers are not. Let’s not forget that spirituality is one of the most dangerous things to dabble in –this is due to working with a force we can barely grasp with our limited consciousness. Sometimes things are not as they seem. This is why discernment is the first and foremost rule when it comes to working with energy. I have been a high priest 6 times and a high priestess 4 times in previous incarnations. My sacred work includes returning beings back to their sacred origins. In the darker ages we have experienced so much infiltration, sorcery, manipulation and deceit and this still affects consciousness today. All twin flames that I have had the absolute pleasure of working with have had some level of negative infiltration in this or past lives. 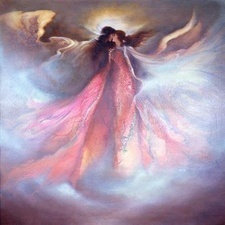 In fact twin flames very much have to keep themselves guarded and protected from these lowe r vibrational frequencies. There is, present throughout all of our history, an opposing consciousness that descends and a consciousness that ascends, both making up an integral part of the whole, or rather making up the whole. If what we want to achieve on planet earth is 5th dimensional frequency – which is love and unity consciousness we want to align ourselves with the frequency of the ascending consciousness. Because twin flames hold such a high heart frequency the opposing consciousness will try to find a way to either sabotage this energy or infiltrate it at some level. It took me some time to get my head around this, could this really be happening, is life really more energetic than it is physical, well yes it is. We are soul’s having a human experience and we are more energy than matter. This twin flames must be aware of. They must beware of the power they possess which is the power of the heart. The heart can transmute the most densest and darkest of energies. I know this because this is my domain. I am a protector of this divine energy. But too they must realise the importance of keeping their sacred flame protected – at an energetic level. From memory, every twin flame I have seen in clinic has been a priest, priestess, high priest or high priestess in past lives. They have been in service to the divine feminine and the rebirth of consciousness to an enlightened era. Now is no different. As spirit said to me recently “we are the ones who we have been waiting for”. A day later I heard a teacher of mine say the exact same words. It was so amazing to hear. We are ALL this light, we ALL have access to the infinite realms of knowledge and wisdom. All that is needed is to open your heart, look to your true essence and let your consciousness unravel. Love unites all and all will be united. Please also take note that it may not be the RIGHT time for two twin flame soul’s to come back together i n their evolutionary journey back to source. We have to honour and respect each twin for where they are in their own process of ascension and evolution. Sabotage to the twin flame union would therefore not be indicated in this scenario and the best thing for us to do is hold a loving heart space for the other while they continue on their journey. Spiritual guidance and discernment are the best tools for seeing which truth applies here. Regardless of if you are in a relationship for not everyone holds within their own divine power. Despite the fact that twin flames have a known evolutionary role in the ascending of consciousness, everyone can achieve higher states of consciousness. It’s not limited to any special being. We are all SPECIAL and EQUAL. If one awakens their consciousness they can access the 12th dimension, the 13th dimension – which acts as the bridge to the next 33 dimensions of reality. The prize, UNITY CONSCIOUSNESS. Now that is worth the inward work, the work of spiritual awakening. For too long we have experienced the pain, duality and separation from imbalanced power. A state of Oneness has not existed here on earth since Lemuria, a long, long time ago. The time is NOW for personal, planetary and cosmic acceleration of consciousness. The return of the long gone divine feminine. This will balance the ledger and the divine feminine and masculine can meet as ONE. In light, love and unity. Channelled Healing is a guided and intuitive system of healing that seeks to balance the pineal and pituitary glands through balancing and aligning the major and minor chakras. This process allows you to access a deep state of calm as you move into and through that which no longer serves you or your higher purpose. This is achieved by Kristy Allan being a conduit and channel of higher vibrational frequencies direct from God the Great Spirit, the divine source of life itself. This process was developed and channelled over roughly 12 months duration. Part of the reason as to why I studied Kinesiology was to ground my desire to do healing work in anatomy and physiology. I wanted to anchor my esoteric knowledge within the confines and safety of physicality. Hands-on healing work was a little too lofty and scary for me to claim as my profession – despite it being a calling from a young age and doing several healing courses. So I learned about the body and the manifestation of dis-ease. I certainly don’t know it all and don’t profess to, however learning as much as I can has given me the confidence to work with hundreds of clients and many a condition. The more experienced I become in clinic the more and more I am being guided to go higher – into the realms of our multidimensional anatomy, into the world of energy and spirit. For some time now, I have been guided by God the Great Spirit to do Channelled Healings as a separate part of my business and not just an adjunct in my Kinesiology sessions. Part of my life’s purpose is to channel these corrective higher frequencies which in turn correct and restore the lowered dis-ease frequencies and return the body back it its original blueprint of health and wholeness. I am being urged now is the time and I invite you to embark on this journey with me. The recognition that all matter is energy forms the foundation for understanding how human beings can be considered a dynamic energetic system. The body is a complex network of interwoven energy fields that coordinate our life force and animates our physical expression. This energy field is said to guide the growth and development as well as the dysfunction and demise of all human beings. It is these fields which generate physical matter, not the other way around. From what is known about the aura or body’s energetic field, diseases appear to be seen in the etheric field weeks and months prior to their becoming manifest in the physical body. Our energetic field represents our physical, emotional, mental and spiritual energies. It is comprised of subtle energy on the physical/etheric, astral, mental and casual planes of existence. By rebalancing these energy fields we in turn help to regulate our cellular physiology. Healing that takes place in the higher frequencies of our existence is thought to be more powerful than healing on a physical level. So emotional healing is thought to be more powerful than physical healing, mental healing (thought forms and beliefs) is said to be more powerful than emotional healing and spiritual healing is said to be the most powerful of all. One if my favourite quotes is “Heal the soul first then the mind and body will follow”. This became quite pertinent to me when I received some intuitive guidance to look beyond the physical, it came at a time where I was considering doing another course and felt the need to dig deeper into the workings of the human body. For me, I was instructed to go beyond the physical and into the spiritual domain of our being. Our unique energy systems are powerfully affected by our emotions, thoughts, spiritual balance as well as nutritional and environmental factors. If the energetic field is healthy and orderly, the body resides in a state of health. When the energetic field is distorted and its organised patterns become disrupted by a wide variety of influences, the physical body slowly follows suit by manifesting dis-ease. Energy healing helps to transform the energetic patterns that create the dysfunctional patterns that ultimately filter down to a physical level. Energy healing in the higher spiritual dimensional frequencies attempts to heal from the primary level of dis-ease, working with distortions at the mental, emotional as well as physical levels of the body. When working at this level I am operating as a Channel for God the Great Spirit, the divine source itself, energetically shifting the clients disharmonious or abnormal patterns of energy flow that contribute to distress and/or dis-ease. So that they can see their own perfection and have a better balance in mind, body and spirit. If you are searching for answers to your concerns then it’s a possibility that you may need to look a little higher, into the multidimensional anatomy of your being, beyond the physical plane and see what a channelled healing can do for you. Please contact me for a Channelled Healing session today. The world is growing tired of modern medicine and its failure to properly handle some dis-eases. More and more people are turning to alternative treatments such as kinesiology to address their ailments, a decision which is helping them achieve lasting results. As a leading kinesiologist in Melbourne, Kristy Allan specialises in treating the person as a whole (mind, body, and spirit) not just the symptoms or the sum of parts. Kristy believes that the true path to perfect health includes all of these elements and she strives to bring about balance and harmony throughout all of these systems to get you feeling healthy and whole once more. Kristy has helped clients all throughout the Melbourne area; working as a kinesiologist in Fertree Gully, Box Hill, Doncaster, Ringwood, Dandenong, Wantirna and many other suburbs throughout Melbourne. It is her experience and many success stories that make her the preferred kinesiolgist in the eastern suburbs. Kinesiology is one of the most comprehensive and holistic systems of modern natural health care. Its art and science stems from both eastern and western traditions, beautifully blending anatomy and physiology with the energetic systems that science is yet to completely comprehend. It is a modality that focuses on all the fundamental levels of our being, mind, body and spirit. Kinesiology’s greatest potential is its ability to tap into our own mind-body wisdom. By shedding light on what is having a direct influence on the body’s processes, we are given the key to unlocking and releasing people’s mental, emotional, physical and spiritual pain. Many people who select me as their kinesiologist in Melbourne come away with a “wow” factor, wondering how on earth I was able to pin point personal and relevant information as well as factors contributing to the clients presenting complaints. In fact, many people think kinesiologists are psychic in nature due to the accuracy of information presented in a session. As intuitive as I am, the truth lies with the client. The client has all of his or her own answers, the truth of any situation, past or present. The task of me, as a therapist, is to guide the client in discovering these truths. In working with the client’s innate intelligence, namely the subconscious and higher self, we are able to allow the process to lead back to the cause, past the smoke screen of protest by the conscious mind, to seek the key which can unlock each person’s dysfunction and dis-ease. For only by discovering the hidden cause is the healing likely to be lasting. Communication with the client’s subconscious and higher mind is established through the use of an indicator muscle, namely the brachioradialis located in the forearm. The kinesiologist and the client form an energetic circuit where communication flows freely between the two individuals. The kinesiologist will be asking the client’s body if the ailment or complaint is located at a structural, biochemical, mental/emotional or spiritual level and the client’s body responds via the indicator muscle. The kinesiologist reads the physical and energetic imprint of the presenting issue and what is required to restore function and balance. Usually multiple factors are involved, and through my experience as a practitioner, it appears everything the body manifests first began on an energetic level, brought into being by thought processes, facilitated by emotions and then physically realised. This is why there is so much more to our health problems than meets the eye. Mind, body and spirit are inseparable and that which affects one will inevitably affect the other. Kinesiology addresses the connection between the patient’s consciousness and his or her complaints. The body has an innate ability and desire to be healthy. Given the opportunity, it also has the amazing capacity to heal itself. The process of healing involves fusing together the fracture that splits body from mind and erasing dysfunctional patterns that contribute to the dis-ease state. Due to the nature of us as unique individuals with our own unique life experiences, no two kinesiology sessions will ever be the same. I find this aspect of kinesiology so refreshing and to be a true patient centred approach to health and wellbeing. Through practising Kinesiology in the eastern suburbs of Melbourne, I have seen the phenomena of the mind-body connection constantly at work, where emotional or psychological factors are responsible for changes in physiology. Some examples include: an emotion stopping a cell taking up a vital nutrient; a thought form triggering imbalances within the hormonal system; a supressed trauma causing an organ system to become imbalanced; a deeply held belief causing neurotransmitter irregularities – the list is endless. Restore balance and you restore function. As the client’s body is the guiding intelligence in kinesiology, there is no second guessing the root cause of the problem. A kinesiology session is all about peeling back the layers to reveal the many factors that have been involved in the manifestation of the dis-ease. Sometimes this is a quick resolution and other times more sessions are required. The client’s innate wisdom is the one who determines the revelations and progress suited to their individual needs. Nothing is given that the client can’t handle. Gentle techniques are used to restore the body back to balance, including acupressure and various form of vibrational medicine. Vibrational healing is a powerful form of medicine that bypasses the physical. It has the ability to clear old limiting beliefs and effectively restores and promotes free flowing vital energy to the cells and tissues of our bodies. Lifestyle modifications and nutritional recommendations form part of the whole client approach. So if you have found that modern medicine just isn't doing the trick, do not hesitate to try out a kinesiologist in the eastern suburbs. We can give you much needed relief for your ailments through natural methods which are quite affordable. We also invite you to browse and read our articles for more information. See what a kinesiologist in Ferntree Gully, Burwood and nearby suburbs can do for you by contacting our team today. Gluten: Is this the cause of your health complaints?